My Highland Barley series is based on what I experienced in Tibet during the 1950s and 1960s. 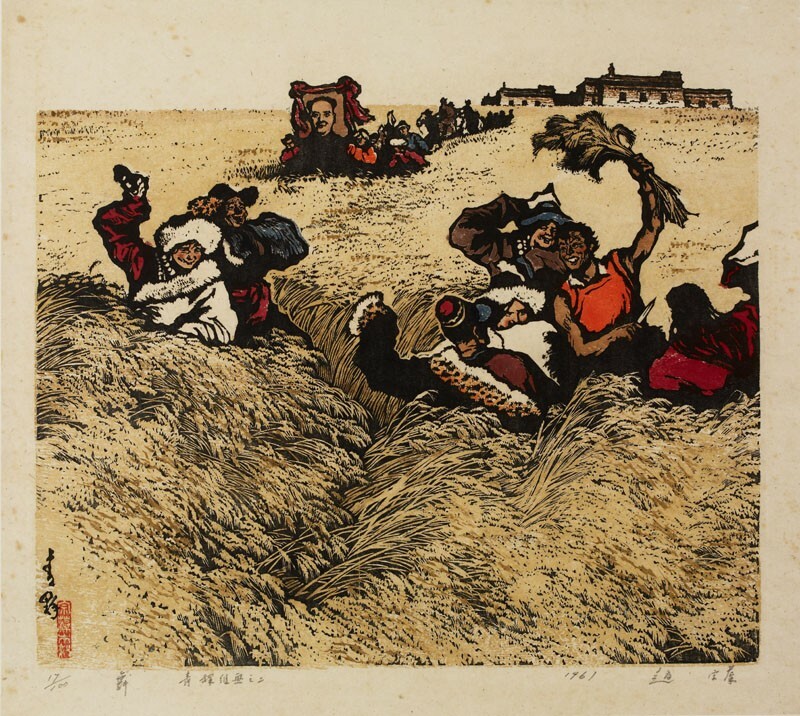 It depicts the Tibetan peasants' immersion in a free and happy life, and their hopes for a future in which Tibet has cast off slavery and embraced communalization. Zhao Zongzao graduated from the Fine Art Department of Nanjing University. 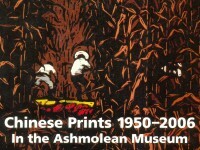 He began making woodcuts in 1950. In 1955, he was appointed to the faculty of the Huadong branch of the Central Academy of Fine Arts (now called The China National Academy of Fine Arts). Zhao’s official positions have included the vice-presidency of the Academy and vice-chairmanship of the Chinese Printmakers’ Association. Before the 1980s, his work was mostly associated with political influence and used various art forms. Benefiting from his calligraphy and ink painting skills, his woodcuts since the early 1980s have turned to the depiction of landscape, printed with water-soluble ink. This print depicts Tibetan peasants in a harvest procession carrying Mao’s portrait. Zhao Zongzao graduated from the Fine Art Department of Nanjing University and worked in the China National Academy of Fine Arts in Hangzhou for four decades. His work was mostly associated with politics and used various art forms. Since the early 1980s his woodcuts have turned to the portrayal of southern landscape, using water-soluble ink.